A bookkeeper who stole nearly £78,000 from a Selsey a care provider has been given a suspended sentence, 75 hours unpaid work and a rehabilitation order. Kirsty Whitfield, 49, of Spiney Close, Selsey appeared at Portsmouth Crown Court on Friday September 21, after pleading guilty to two counts of fraud by abuse of position and one count of theft by employee, police have said. A police spokesman added: "Whitfield had worked for Platinum Home Care in Selsey from 2005 to 2016. During her employment, Whitfield lied by telling the manager that she was unable to pay employees’ wages from the company bank account all on the same day, due to a banking limit, and suggested using her own personal bank account. Whitfield was then able to steal money from the business bank account into her personal accounts. "In June 2016, the company were visited by HMRC, claiming they were owed £76,000 in tax and national insurance and concerns were then raised around Whitfield’s position in the company. "The company began an internal investigation into the matter and Whitfield handed in her resignation after coming back from an eight-week holiday to the USA. 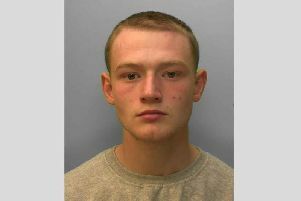 "The care home reported their concerns to Sussex Police and Whitfield was subsequently arrested on 21 December, 2016 and released on bail. "Following months of detailed investigation by detectives, it was revealed the total amount stolen from the company was £77,944.61. Officers also discovered that Whitfield had submitted fraudulent NHS invoices, amounting to £31,603.18 and £10,432.47 in duplicate payments. Whitfield later admitted fraud by abuse of position and theft at Portsmouth Crown Court and was given a six month sentence suspended for two years for each count of fraud by abuse of position and 20 months prison sentence suspended for two years for theft by employee. She was also given 75 hours of unpaid work and a rehabilitation order, police said. Detective Constable Paul Gilmour said: “Kirsty Whitfield was trusted by her employer to manage the monthly payroll and process company invoices, but she abused that position for her own gain.